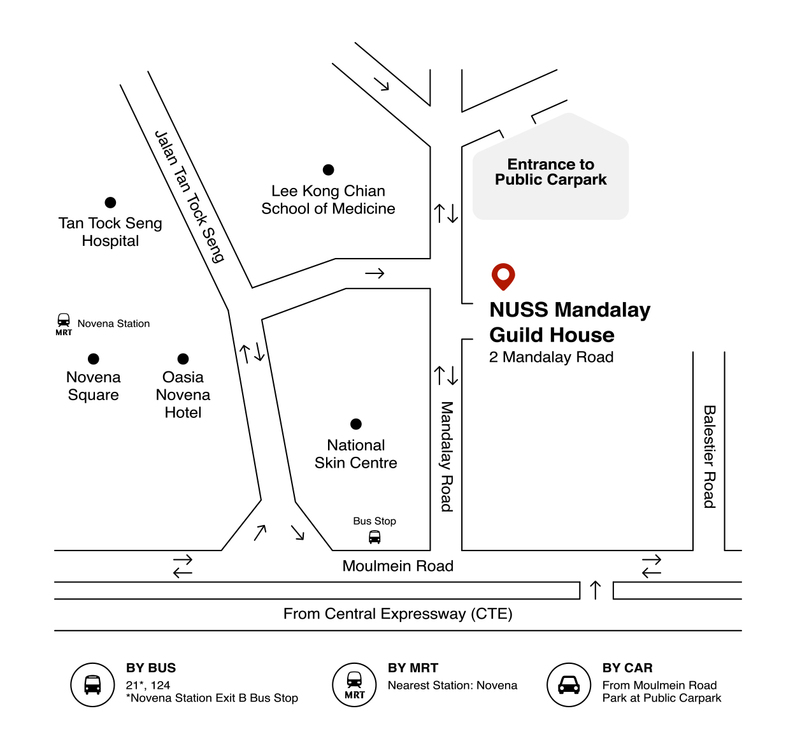 Nestled within the Novena district, Mandalay Guild House offers an idyllic retreat from the hustle and bustle of busy city streets. Housed in an iconic two-story black-and-white bungalow, the Society’s third Guild House exudes classic colonial charm with the comfort and familiarity of modern design. Click here for the Dress Code. As there are limited car park lots available at the Guild House, the carpark will be for the exclusive use of members (carpark charges apply). Every principal member is allowed to register one vehicle for entry into the carpark. Vehicles have to be registered under the name of the principal member or spouse. Taxis and Non-Registered Vehicles are allowed to drop off/pick up within the grace period of 10 minutes. Penalty of $20.00 on top of regular parking rates applies to Non-Registered Vehicles. Members with registered vehicles will be billed through the monthly statement of accounts. Members and guests with Non-Registered Vehicles will have to pay car park charges and penalty fees with cash cards at the exit kiosk. Please register your vehicle by 4pm for entry into MGH car park on the next working day. Penalty of $20.00 on top of parking rates. Please click here to register your vehicle (one time registration). Please read the FAQs for more information on parking at MGH. Alternative parking is also available at the public carpark beside Mandalay Guild House.